100% Glucosamine sulfate powder. Raw product. It provides 450mg of 2KCl D-glucosamine sulfate. Neutral flavor. Glucosamine, Chondroitin, MSM, Collagen, and Vitamin B12. Liquid format, easy to use. With fruit juice concentrates! Supports joint health. Helps regeneration and mobility. Glucosamine hydrochloride, Chondroitin sodium sulfate and MSM. It provides 1500mg of Glucosamine per daily dose. Improve your joint and muscle health. Offers relief from pain and better working order of the joints. More than 150 TOP Products at INCREDIBLE Prices!!! Minerals, vitamins, Omega 3 fatty acids, Coenzyme Q10, amino acids, glucosamine sulfate, chondroitin sulfate and methylsulfame. 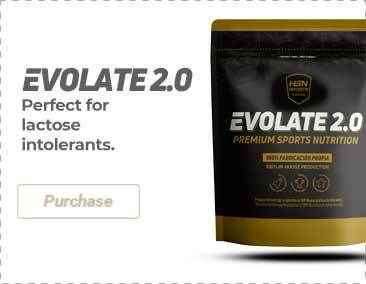 Exclusive formula: glucosamine + chondroitin + MSM. It provides 1500mg of Glucosamine per daily dose. With vitamins and minerals. It provides 605mg of D-Glucosamine Sulfate and 400mg of Chondroitin Sulfate per daily dose. Type I and type II hydrolyzed collagen. Contains 750mg of MSM (methylsulfonylmethane) per daily dose. It provides 1333.3mg of glucosamine sulfate per daily dose. It contains Vitamin C.
It provides 1000mg of glucosamine per daily dose. It contains ginger, Boswellia serrata extract and vitamin C. It improves joint health. Glucosamine sulfate from crustaceans. It provides 2g of glucosamine per daily dose. With chondroitin, glucosamine, MSM and harpagophytum to improve the health of the joints. Glucosamine sulphate, Chondroitin, Hydrolyzed Marine Collagen, vitamins and minerals, an excellent combination to promote good joint health. Formula that contains Marine Collagen, Shark cartilage, Chondroitin, Glucosamine Sulfate, minerals and vitamins to promote good bone and joint health. With Chondroitin and Glucosamine to promote good joint health. 400g of Chondroitin and 1000g of Glucosamine to favour good joint health. I have been taking it with collagen for my joints, since I'm also following a treatment for arthritis and I been feeling better lately. Glucosamine is an excellent product, especially if you want to make sure that your joints recover properly from an intense training routine. Combining it with collagen or magnesium is an excellent way to keep your joints healthy for sure! I like to combine it with collagen and magnesium, my knees do not hurt as much as before and I am still able to carry out my workouts at the same level. My wrists hurt a lot when I do weightlifting, but with this product I have experienced an improvement overall which allows me carry on with my workouts. Glucosamine is one of the most popular and effective ingredients against pain, inflammation and cartilage loss. Several in vitro studies have proven that glucosamine has the ability to stimulate the production of cartilage. It is an essential nutritional supplement for anyone who exercises regularly. Glucosamine is an amino-sugar that makes up an important part of the human body. It is one of the basic constituents of tendons, cartilages and ligaments, and it ensures their regeneration and repair. Moreover, glucosamine regulates the synovial fluid so that the joints can move freely. This is the reason why it so important for athletes, whose joints undergo a lot of tension. As we grow old, the production of glucosamine drops, which is why it is necessary to take an additional glucosamine supplement to keep the joints healthy. Who can benefit from glucosamine? People who suffer lower or chronic back pain. Those who feel persistent joint discomfort. People who want to prevent incipient or advanced osteoarthrosis. Those who want to prevent arthrosis. Where can we purchase Glucosamine? HSN offers various glucosamine supplements in order to fight against the joint pain and inflammation. One of them is Joint Care, and easy-to-take liquid that includes glucosamine, chondroitin, MSM, collagen and vitamin B12. It is a perfect product that you can include in homemade juice concentrate. If we would rather prefer capsules, we also have glucosamine HCL available in our catalog. It provides 1000mg of glucosamine per tablet, which is also easy to transport thanks to its size. The daily recommended dose is a single capsule at any time of the day. Arthrosis happens when a joint cartilage is damaged. The function of the cartilage is to produce a buffering effect between the joints. However, when it is damaged, one bone may rub against another one which triggers discomfort, inflammation and difficulty to move. This is when glucosamine comes into play.